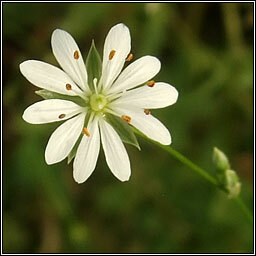 Habitat: Abundant on dry roadsides and among grassland. 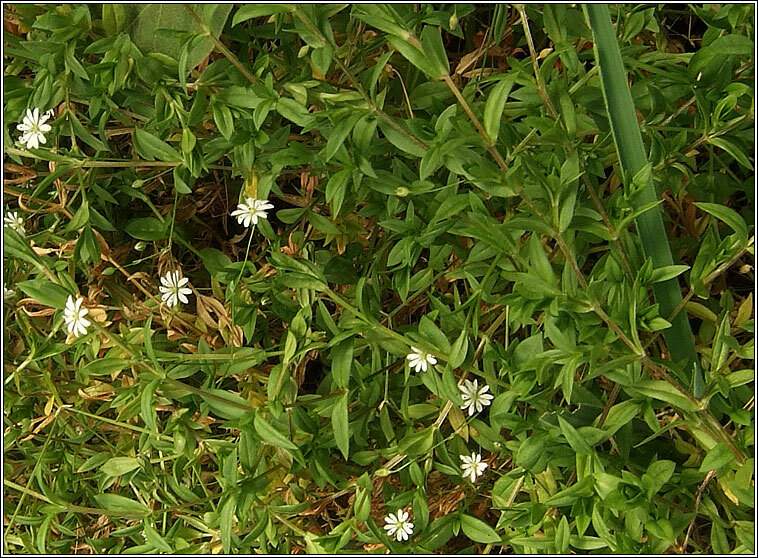 Numerous small white flowers, the deeply divided petals as long or longer than the sepals. Drooping stalks when fruiting. Straggling growth, the weak brittle stems with pairs of stalkless linear-lanceolate leaves.